This session shows how teams in different industries leverage the innovative Streams API from Kafka to build and deploy mission-critical streaming real-time apps and microservices. Stream processing is a concept used to act on real-time streaming data. This session shows and demos how teams in different industries leverage the innovative Streams API from Apache Kafka to build and deploy mission-critical streaming real-time applications and microservices. 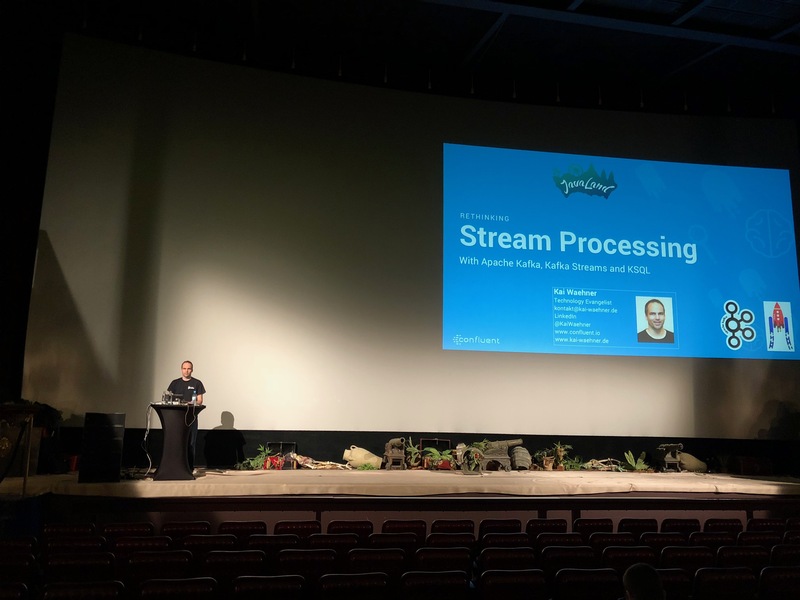 The session discusses important streaming concepts like local and distributed state management, exactly-once semantics, embedding streaming into any application, deployment to any infrastructure. Afterward, the session explains key advantages of Kafka’s Streams API like distributed processing and fault-tolerance with fast failover, no-downtime rolling deployments, and the ability to reprocess events so you can recalculate output when your code changes. A demo shows how to combine any custom code with your streams application — by an example using an analytic model built with any machine learning framework like Apache Spark ML or TensorFlow. The end of the session introduces KSQL: the open-source Streaming SQL Engine for Apache Kafka. You can write “simple” SQL streaming queries with the scalability, throughput, and fail-over of Kafka Streams under the hood.